Dr. Terry O’Banion was President of the League for Innovation in the Community College for 23 years until his retirement. Under his leadership the League became an international organization serving over 700 colleges recognized by Change magazine as “the most dynamic organization in the community college world.” Since retirement O’Banion has worked on special projects for the League for Innovation, MetLife Foundation, The Bill and Melinda Gates Foundation, The Chauncey Group International, Walden University, and National American University. In honor of his decades of service to education, five national awards have been established in his name: the Terry O’Banion Student Technology Award created by Microsoft; the Terry O’Banion Prize for Teaching and Learning created by Educational Testing Service; the Terry O’Banion Shared Journey Award created by the National Council on Student Development; the O’Banion Leadership Scholarship created by Walden University; and the John Roueche and Terry O’Banion International Leadership Award created by the League for Innovation. In a survey of 11,000 higher education leaders reported in Change magazine in January 1998, Terry O’Banion was named one of eleven “Idea Champions” who set the agenda for all of higher education—and the only community college leader on the list. O’Banion has consulted in more than 800 community colleges in the United States and Canada. He is one of the leading spokespersons in the country on the Learning College and on Student Success Pathways and the Completion Agenda. He has keynoted conferences on these issues in dozens of states and Canadian provinces and in Australia, the United Arab Emirates, and Japan. 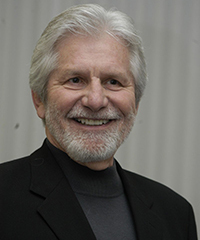 Author of 15 books and over 190 monographs, chapters, and articles on the community college, his current work includes a monograph on Access, Success, and Completion and a book on Academic Advising: The Key to Student Success both published in early 2013. His book on advising may be purchased from AACC. O’Banion has served as a dean of students at Central Florida Community College, founding dean at Santa Fe Community College (FL), and vice chancellor for education for the Dallas County Community College District. He has been a Professor of Higher Education at the University of Illinois; Distinguished Visiting Professor at The University of Texas; Visiting Professor at Berkeley, Florida State, Hawaii, and Toronto; the Marie Y. Roberts Endowed Professor of Higher Education at the University of North Texas; and a Distinguished Scholar-in-Residence at Antioch University McGregor School of Management.